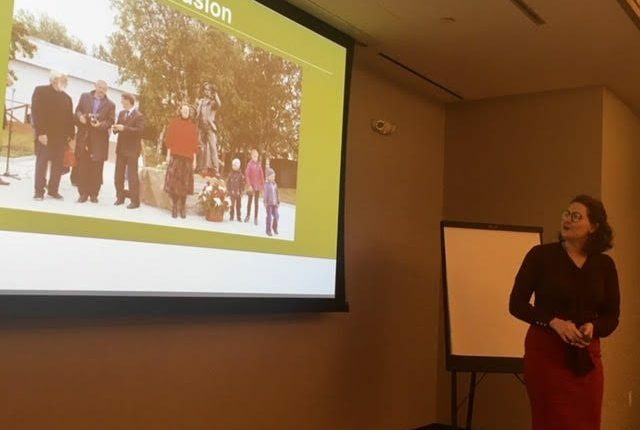 Lydia Roberts, 3rd year Ph.D. student, presented her research project, titled “Mass Isolation: Aspects of the Russian and US Prison Systems” at the IREX U.S. Russia Experts Program Summit on January 25, 2019 at the Eaton Hotel in Washington, D.C. 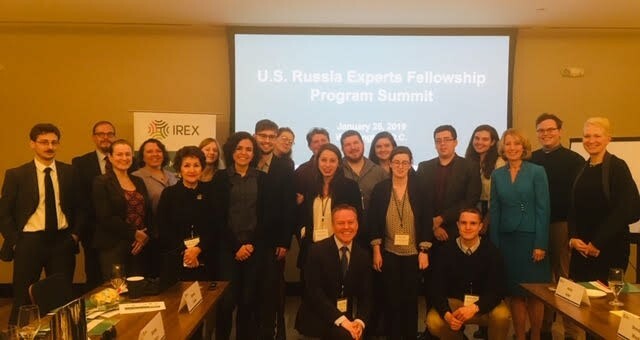 Representatives of IREX, including CEO Kristin M. Lord, and representatives of the US Russia Foundation, including CEO and President, Dr. Celeste Wallander, and Board Chairman, former Ambassador John R. Beyrle, were present for her presentation. 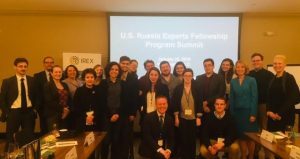 Roberts was awarded the U.S. Russia Experts fellowship in May of 2018 and conducted an extensive research trip to archives in Moscow, St. Petersburg, and on the Solovetsky Islands as part of her program. She was also awarded travel funds to the 2018 ASEEES conference in Boston, MA as part of her fellowship.